Sweet little Peanut lost her family a few weeks ago and needed to find a new home. This little girl is the perfect little princess, loves everybody and everything. She walked into her foster home and wrapped everybody around her little paw and she decided to stay put. 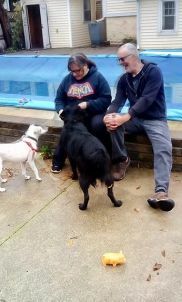 Peanut was very happy with her new family and new four legged friends. 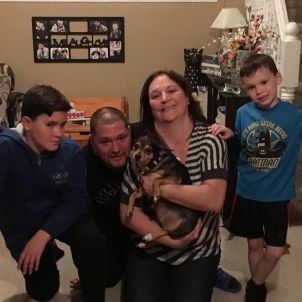 Thanks to everyone whom helped Peanut get her second chance! Alfie is one of the recent little puppies who came into our foster program. He is a typical playful happy little guy who now has a big brother! And a very loving family who have lots of plans for this little guy to have a wonderful life with them. Thanks to everyone who helped Alfie get his second chance! Eagle is one big sweet boy! He was found as a stray in horrible condition, very thin and no one was looking for him. Some friends in rescue pulled him from the shelter where he was loved by all the employees and given a chance. Sadly he waited and waited for a home of his home in the area but no one came to take this handsome guy home. Eagle came to our rescue and he made himself right at home wherever he went! 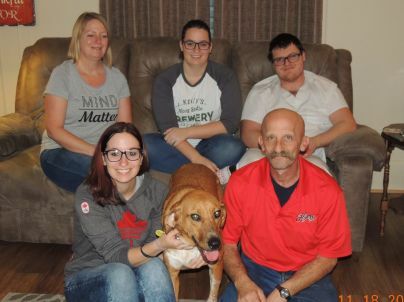 He met his new family and had kisses for everyone, plus that hound mix nose checked out every square inch of his new home inside and out. 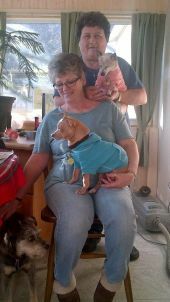 Eagle is a treasure and we are so proud to have played a small part in helping him get his Happy Ending! 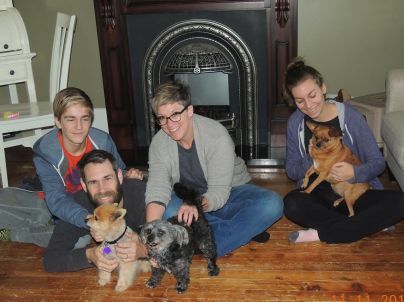 This adorable little bonded duo felt right at home meeting their new family. Several months ago they lost their home due to changes in the family’s situation. They were with another rescue who closed and trusted us to find them a wonderful forever home where they would be loved and cherished. They both ran all over their new house inside and out to check things out. We love happy endings! Thanks to everyone who helped Coco and Teddy Bear get their second chance! These adorable little seniors lost their home over a year ago. They were with another small rescue who closed down, grateful to that rescue for trusting us with the are of these wonderful and funny little girls. Georgia and Lulu have entertained their foster family for a few months and now they get to show off their talents with their new family! These little seniors are as sweet as can be! 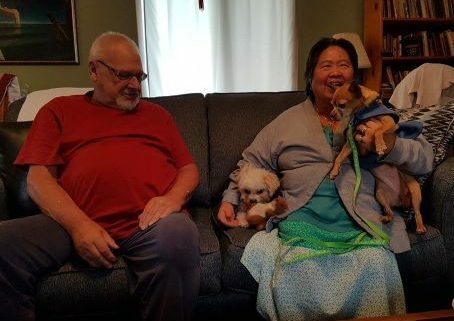 We are grateful to their new family for opening their hearts and homes to seniors who still act like puppies! Sweet little Cracker was found on a rural road on a rainy night, skin and bones and not much fur due to fleas. She was found by a lady who contacted one of our rescue friends who nursed this little girl back to good health. Cracker is a sweetheart, breaking hearts wherever she goes! She’s a beautiful little soul and we are so happy to be able to help her get her second chance. 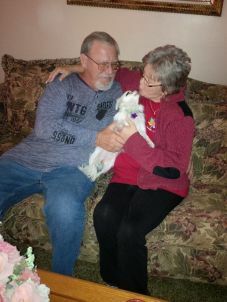 Thanks to everyone who helped Cracker get her happy ending! Frodo has come such a long way from his very scared and frightened early days in our foster program. 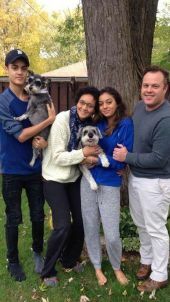 Thanks to the patience of his foster family, he was ready for his forever home. Today he met his new family and has a big brother who was eager to show him around, inside and outside…and a game of chase to see who was faster! Thanks to everyone who helped Frodo get his Happy Ending! Sweet Sadie came to our rescue a few weeks ago, she had a few changes in her life where she needed to find a new home. She had some insecurities to work through because of the changes. 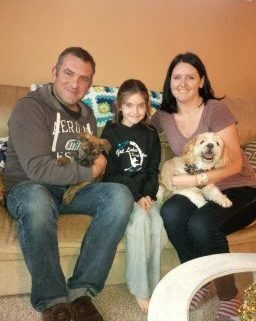 Sadie came along beautifully and found her forever home, complete with a big brother who thinks she is a wonderful addition to his family! Thanks to everyone who helped Sadie get her Happy Ending!